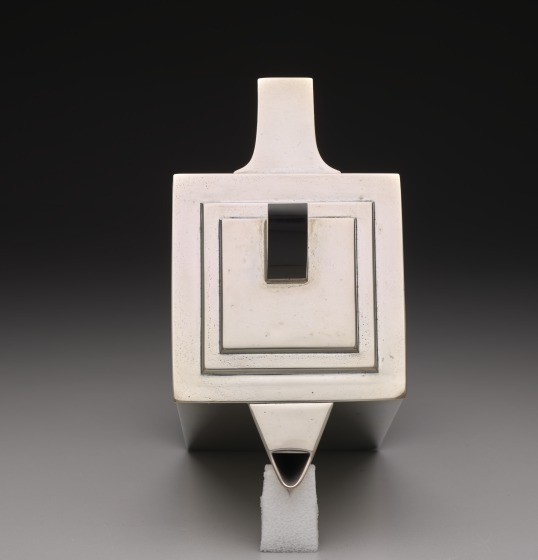 In the 1920s, American designers looked to the skies for inspiration. 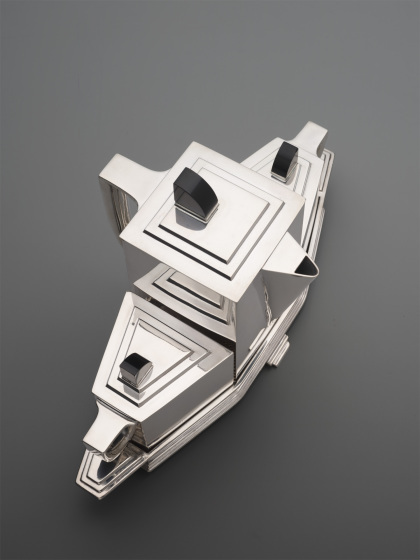 Across the country, newly built skyscrapers soared over city streets as monuments to industrial progress and modernization. 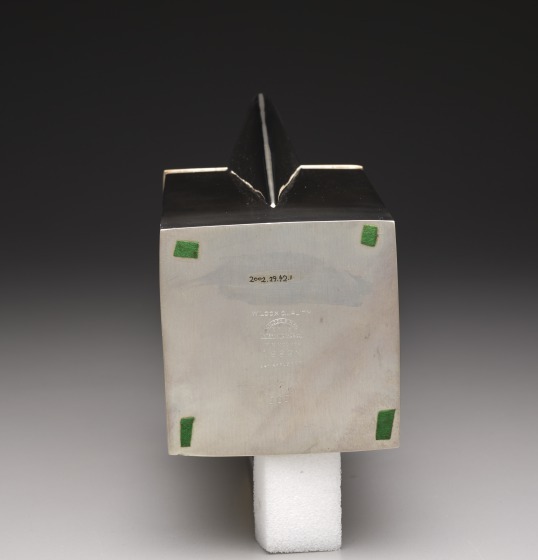 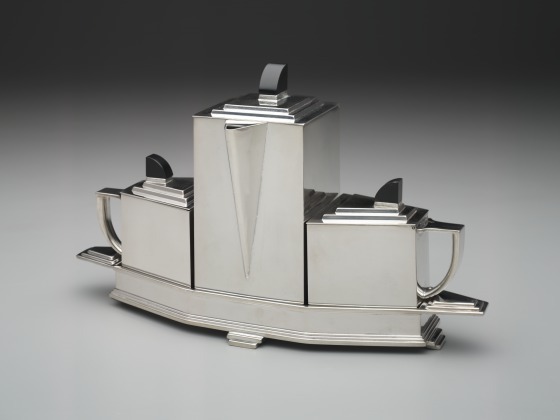 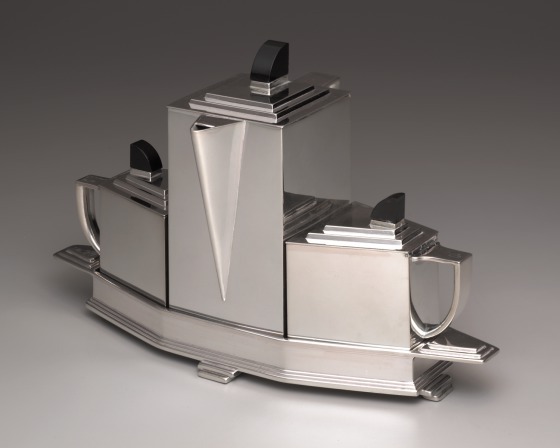 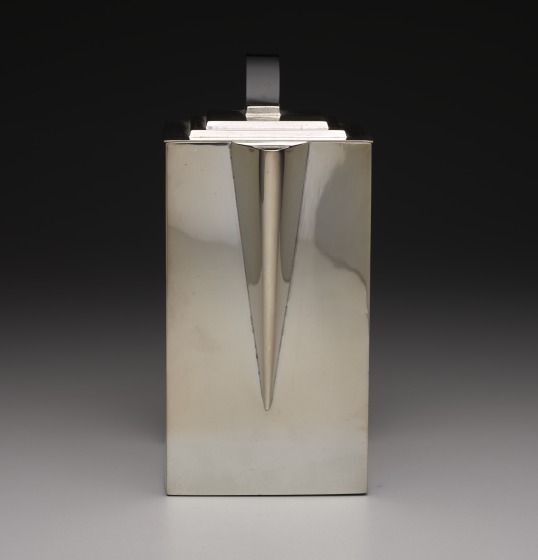 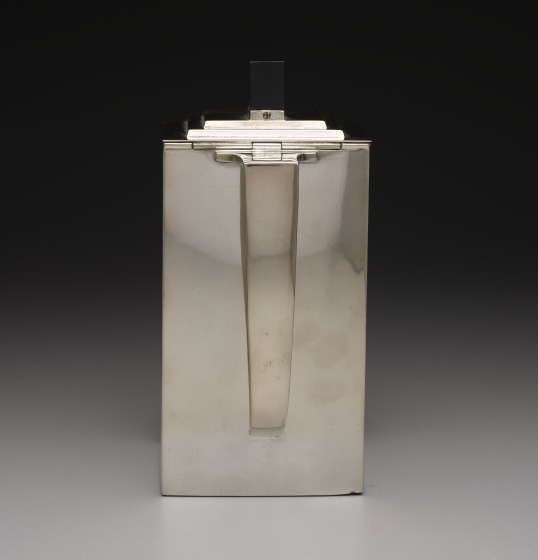 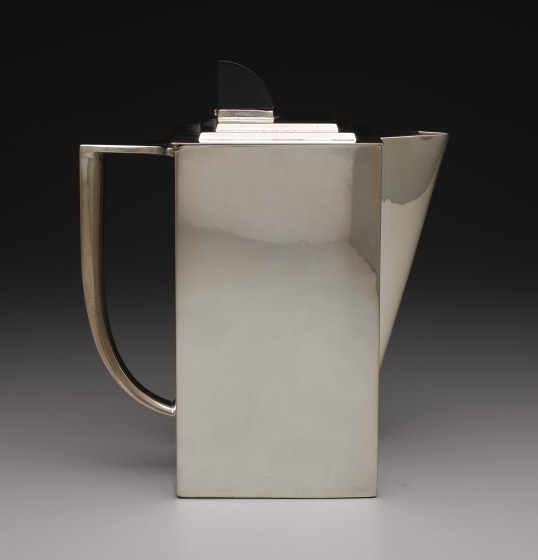 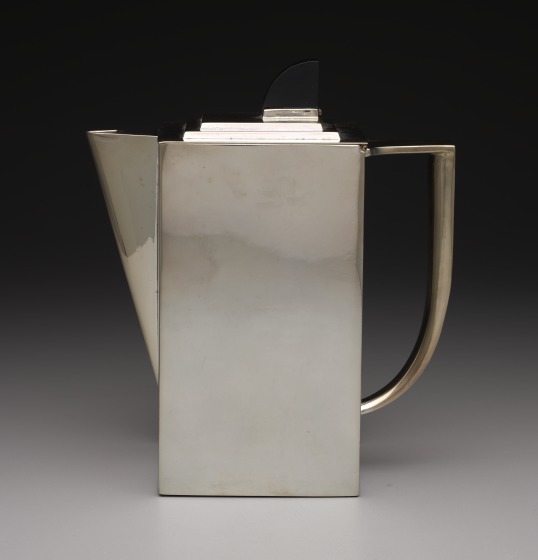 In this tea set, designer George Theobald combined geometric forms and stepped lids to capture the feeling of the new metropolis. 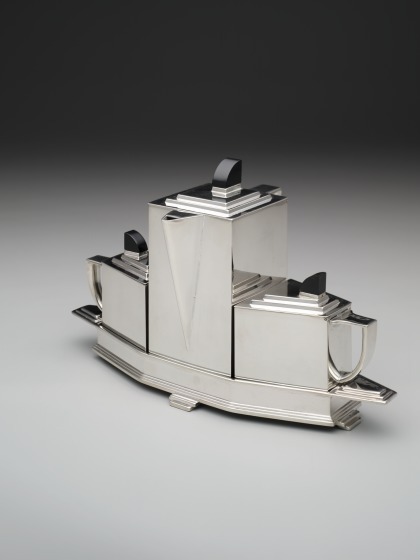 Nestled together in a fitted tray, the teapot, creamer, and sugar bowl form an almost architectural unit that recalls the city skyline.